We’ve already noted seven Halloween videos to help get you into a festive mood. If you’re looking for even more horror, check out “Kept Man“, a short film created by online video vet Wilson Cleveland. 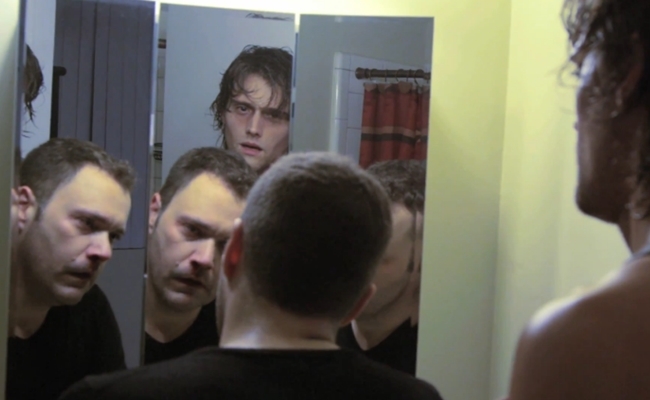 Cleveland stars in “Kept Man” as a man who meets a new boyfriend, played by Hartley Sawyer. Throughout the nine-minute film, Sawyer’s character slowly becomes unhinged, which leads up to a violent denouement. “Kept Man” may seem like a romantic drama at first, though its dark tone foreshadows its bloody conclusion from the start. “Most people will (and should) see it’s a twisty horror thriller,” Cleveland told Tubefilter.